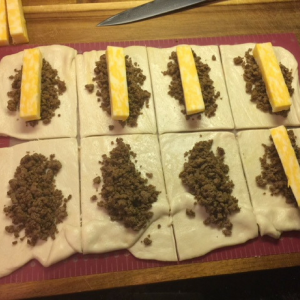 What do you get when you stuff taco meat and delicious Hiland Dairy Colby Jack Cheese into pizza dough? A satisfied tummy! These cheesy taco sticks are redefining taco night at my house. 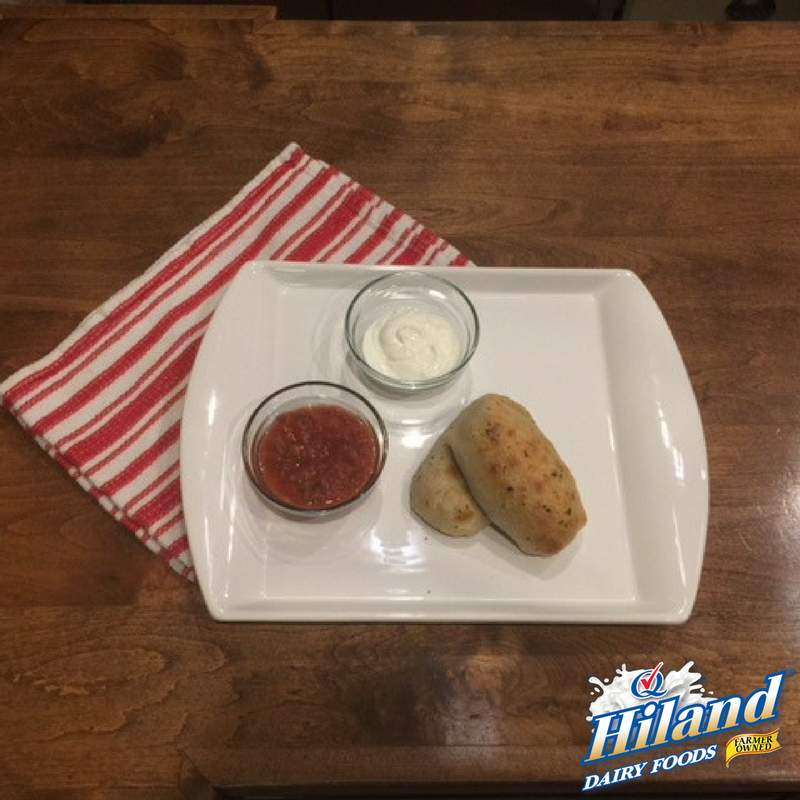 Served with your favorite salsa and Hiland Dairy Sour Cream, these scrumptious morsels are a great appetizer or snack, and you can even serve them for a main meal. 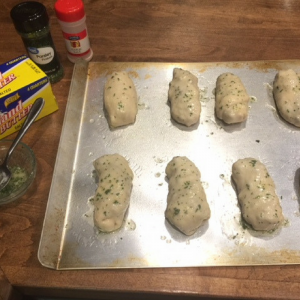 Lightly coat a large baking sheet with nonstick cooking spray. In a large skillet, cook the ground sirloin, breaking it up into small pieces with a wooden spoon until completely browned and crumbled. Drain excess fat. 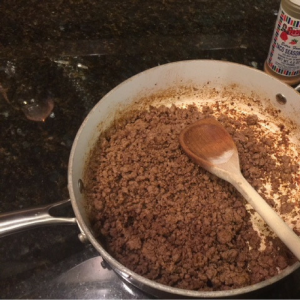 Mix in the taco seasoning without water and stir until fully coated. Let cool. 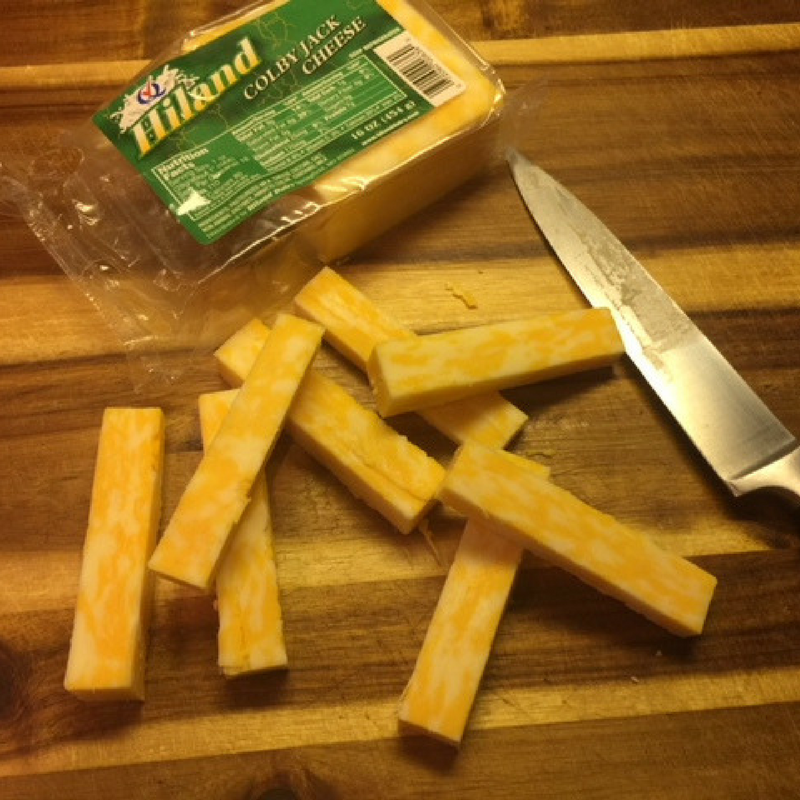 Slice cheese into sticks, equal in size. 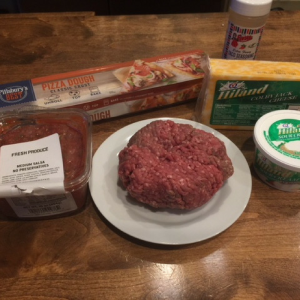 Roll out the pizza dough flat. 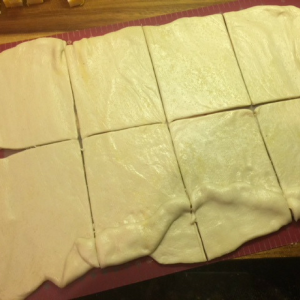 Cut in half lengthwise, then make 3 cuts up and down, creating a total of 8 small rectangles. Spoon 1 to 2 tablespoons of the taco meat into the center of each pizza dough rectangle, top each with a cheese stick and then carefully roll up and seal the dough to create breadsticks. Combine the melted butter, garlic salt and parsley in a small bowl and brush it on the tops of the cheesy taco sticks. Bake 10 to 12 minutes, or until golden brown on top. 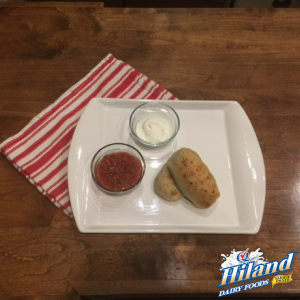 If you like an extra kick to your dip, substitute Hiland Dairy Jalapeño Fiesta Dip for the sour cream and salsa. Trust me, you won’t be disappointed!